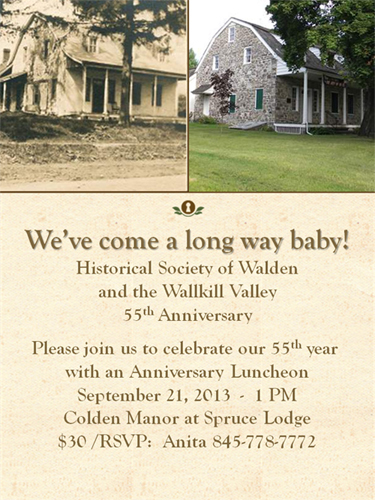 This is the Society's 60th Year! 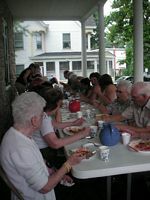 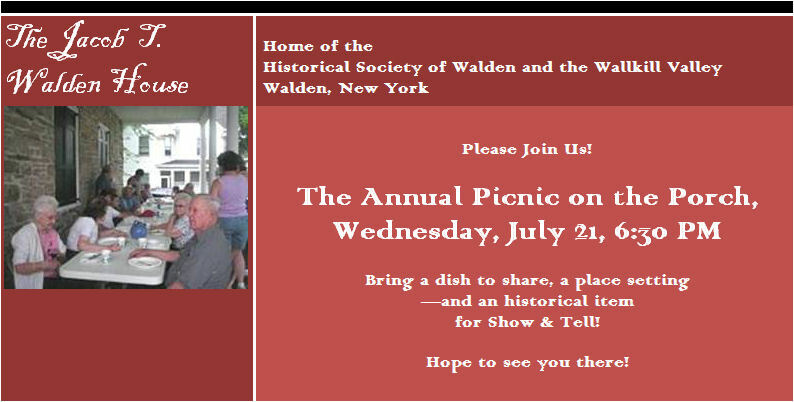 Bring a pot luck covered dish or dessert to share and be sure to bring an interesting item for Local History Show 'n Tell. 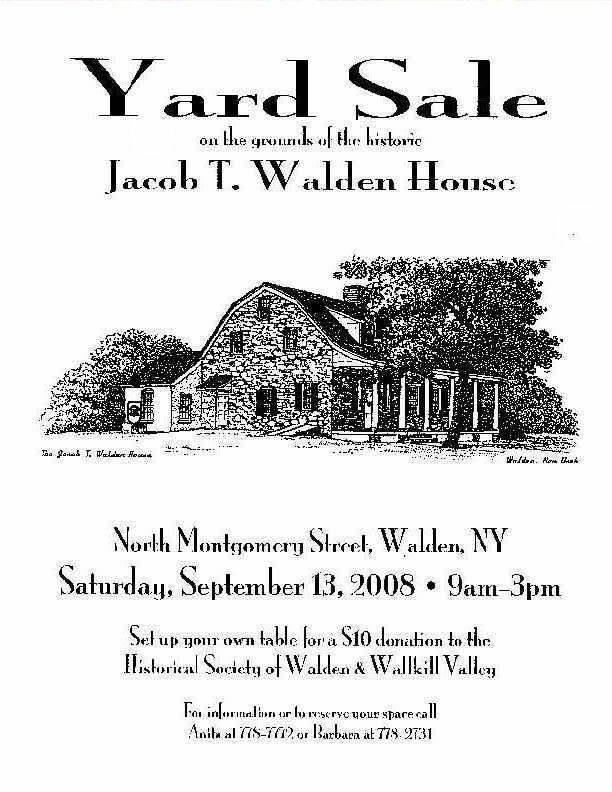 This is always a fun event. 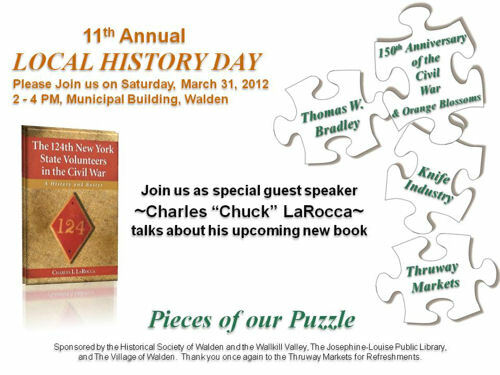 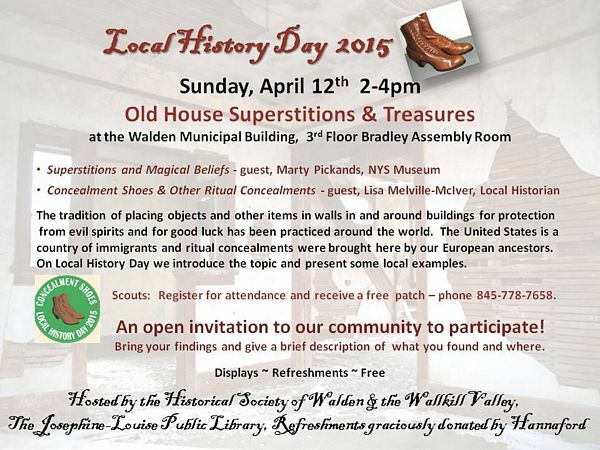 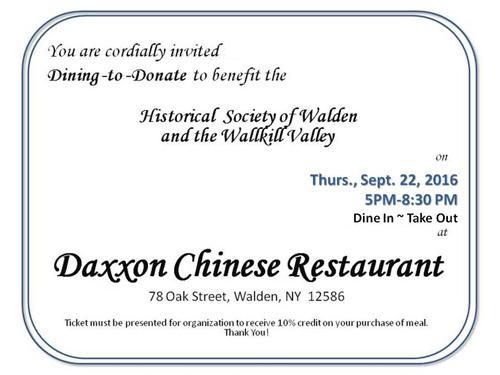 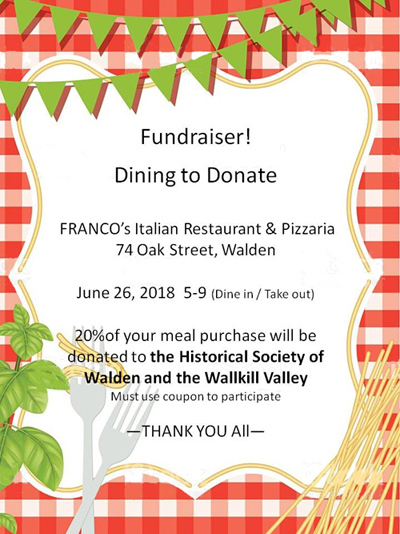 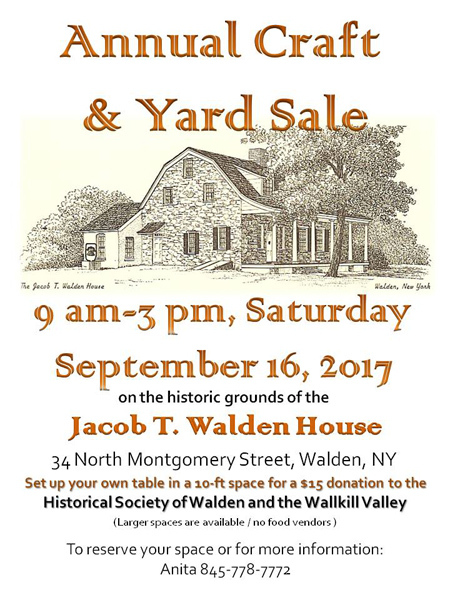 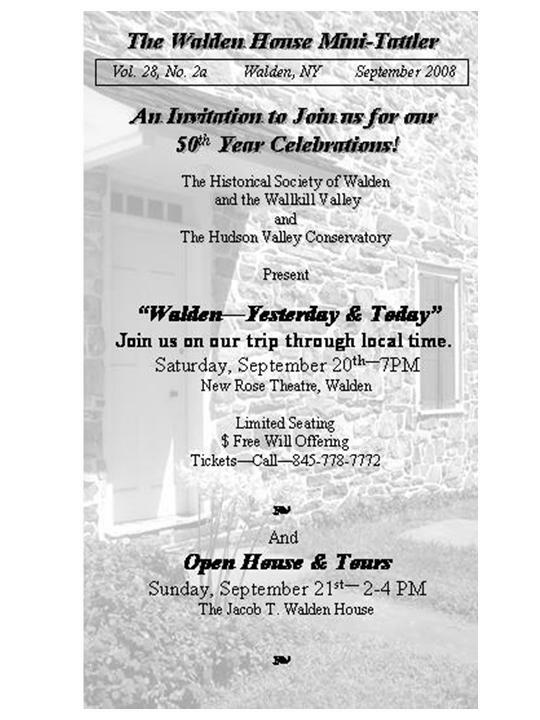 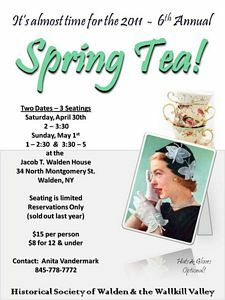 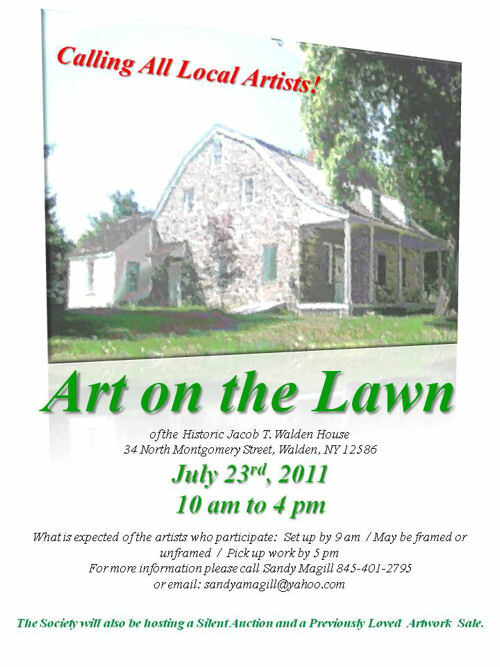 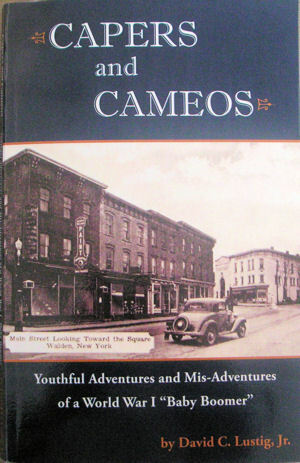 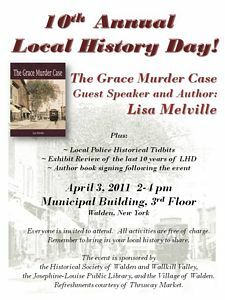 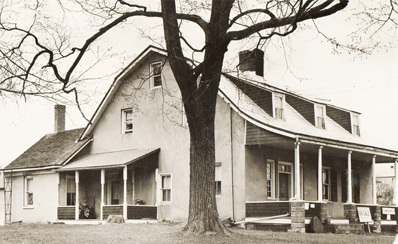 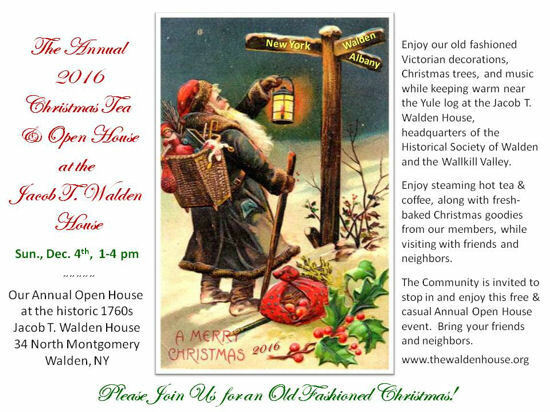 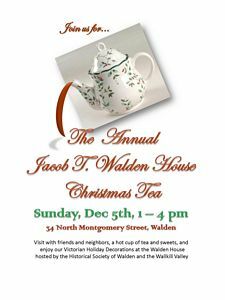 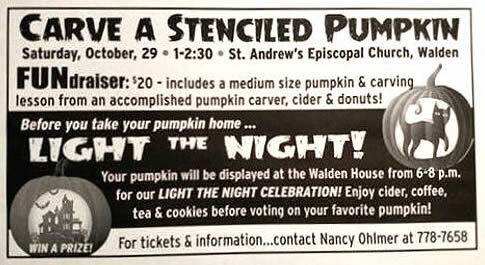 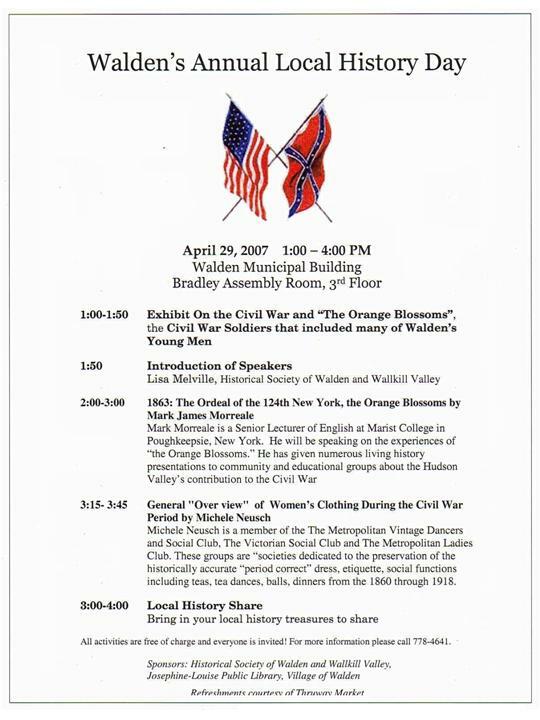 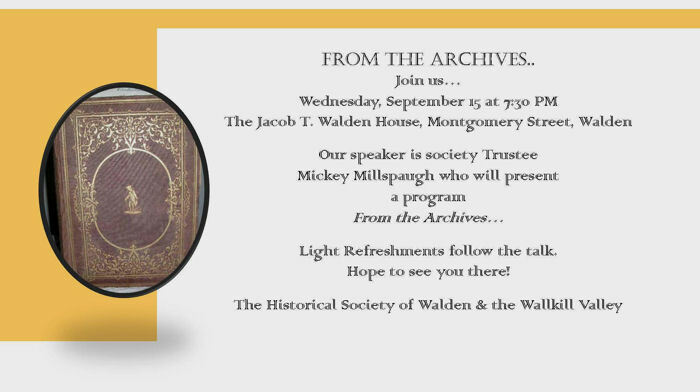 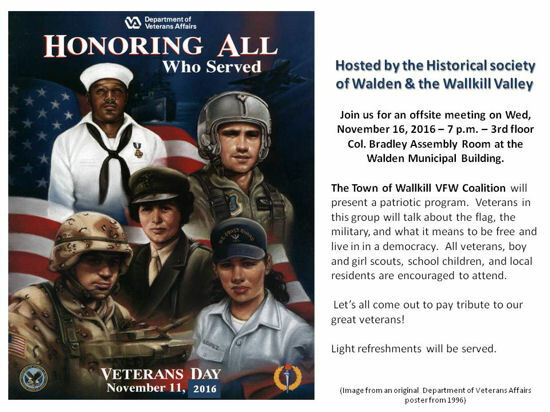 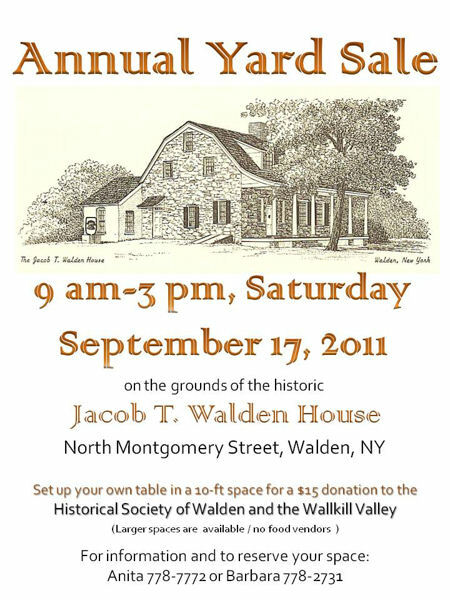 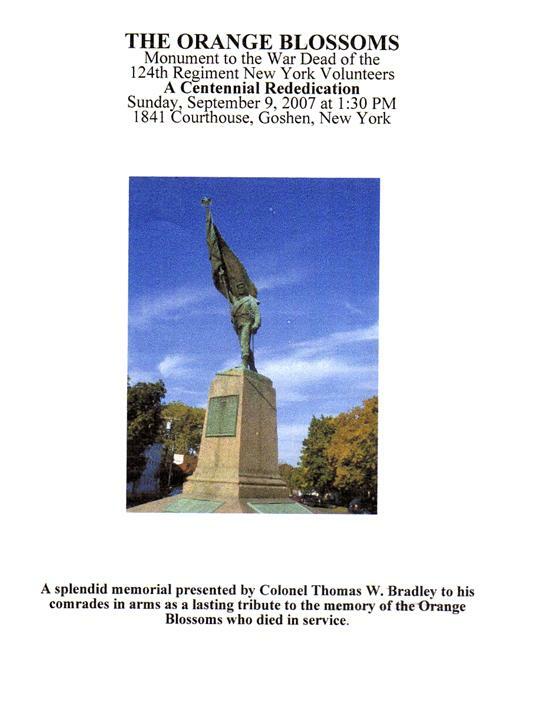 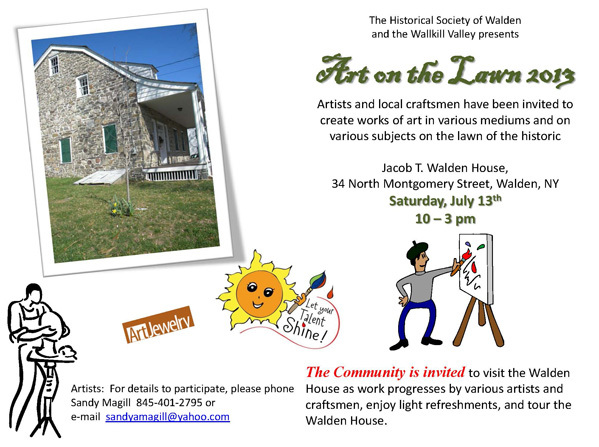 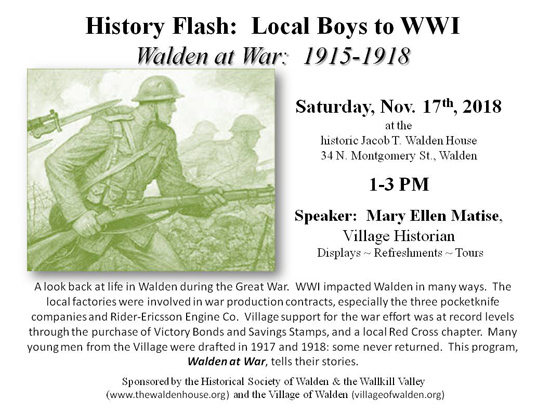 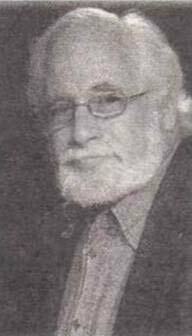 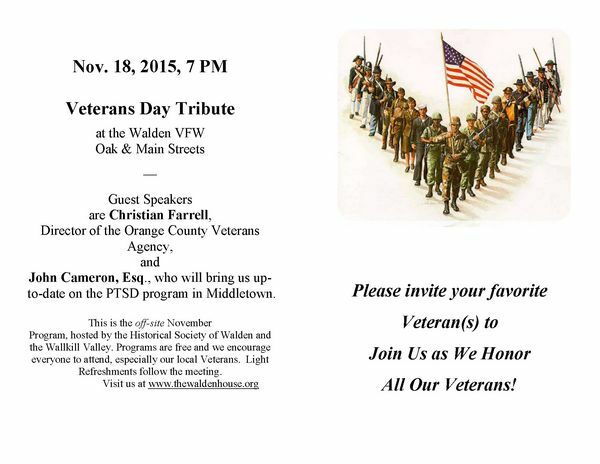 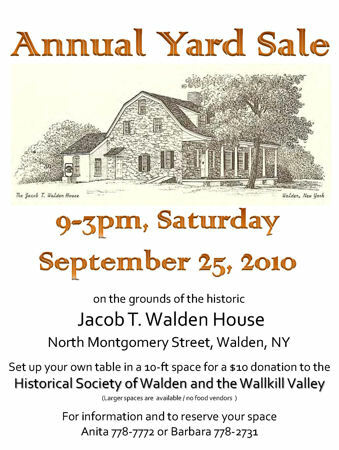 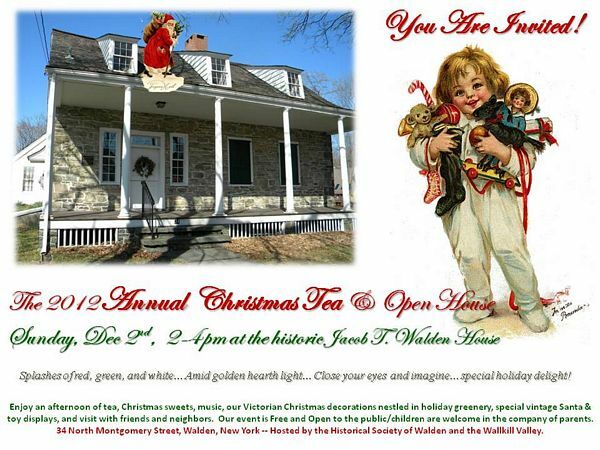 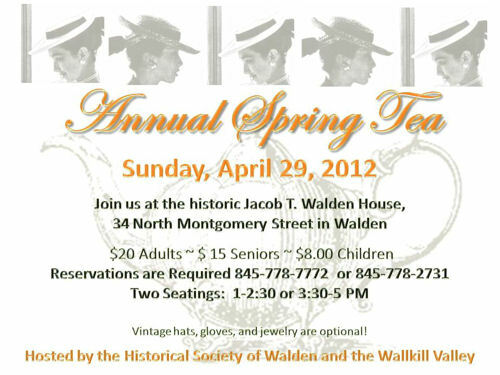 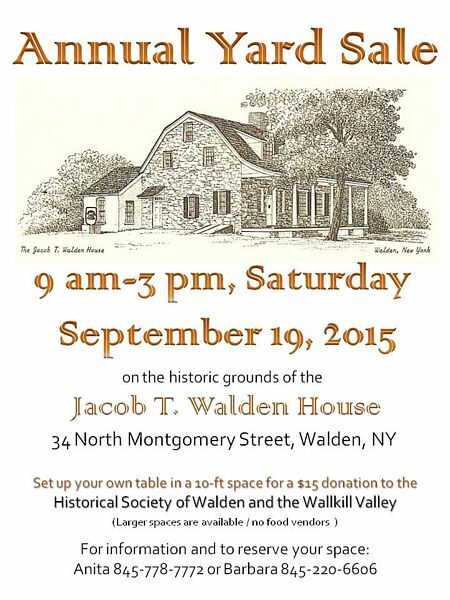 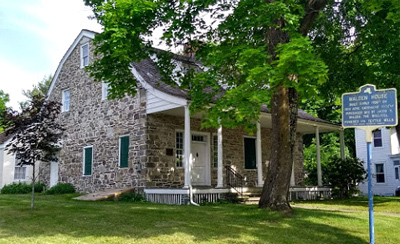 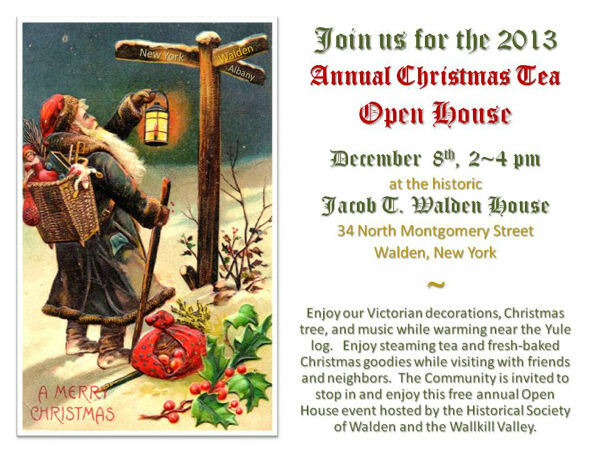 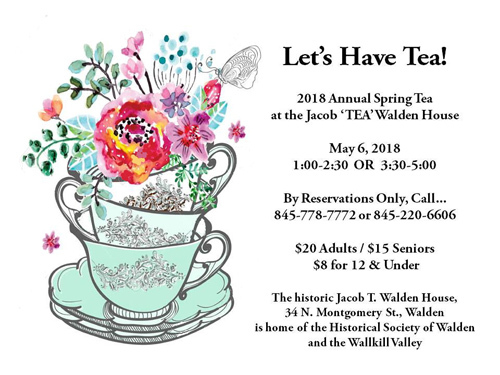 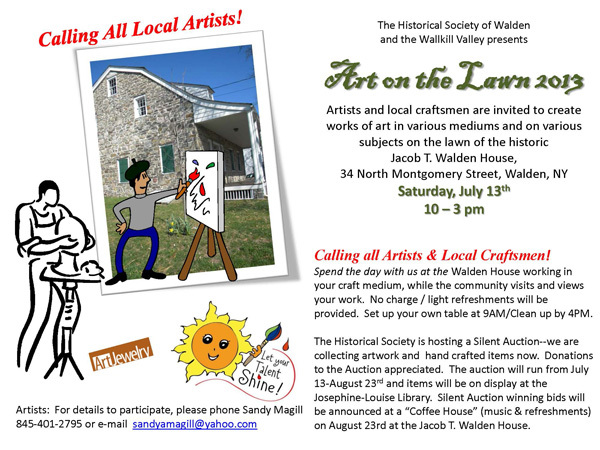 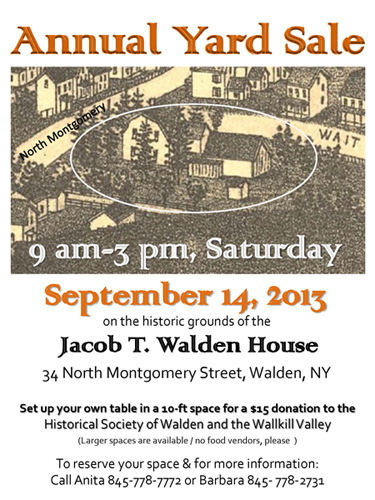 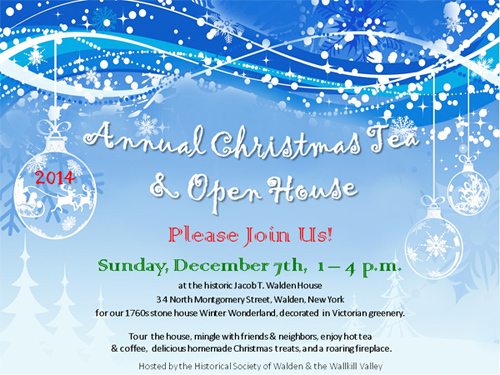 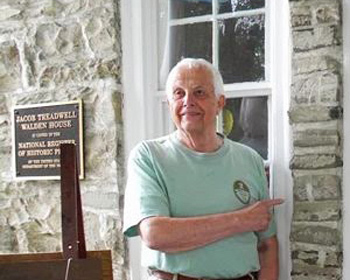 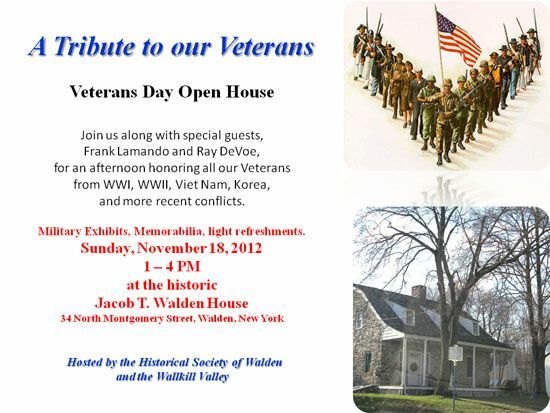 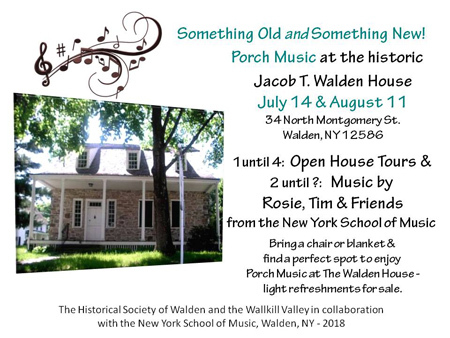 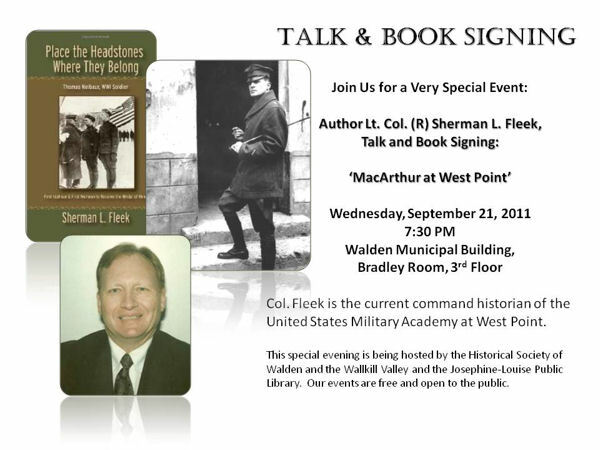 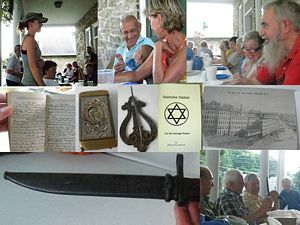 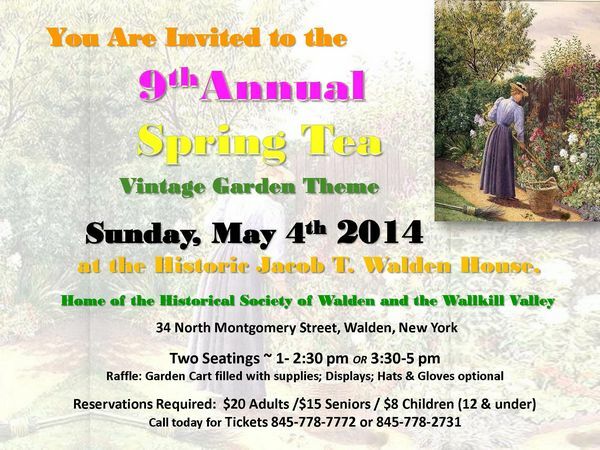 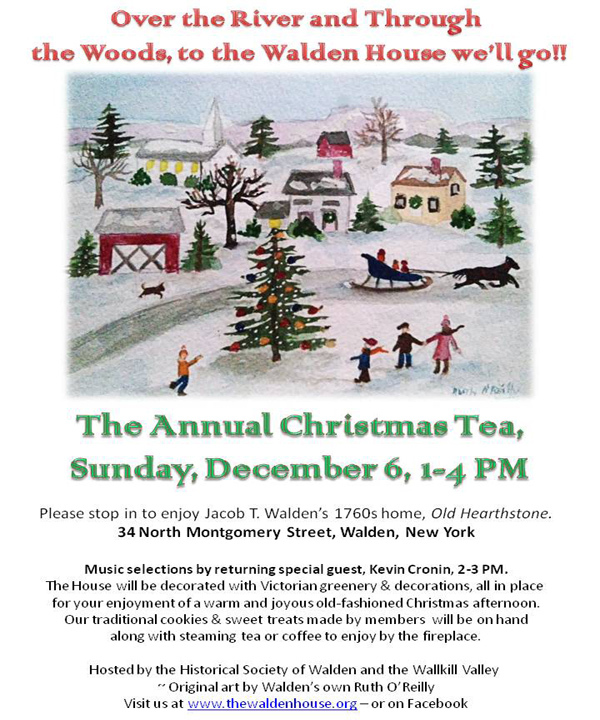 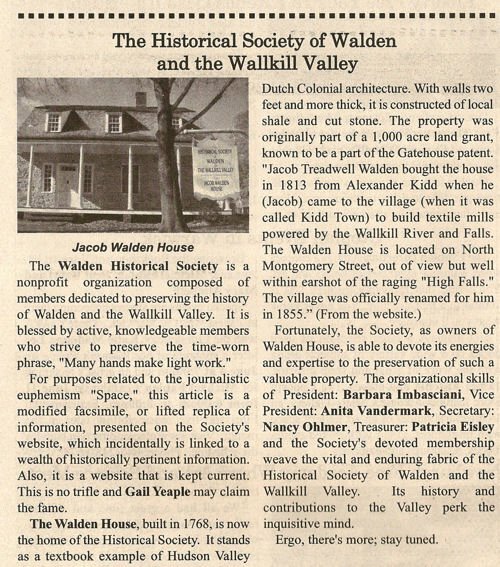 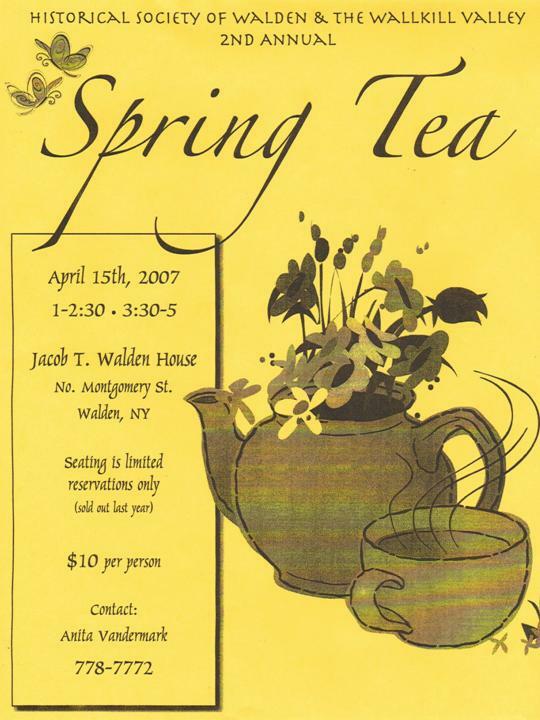 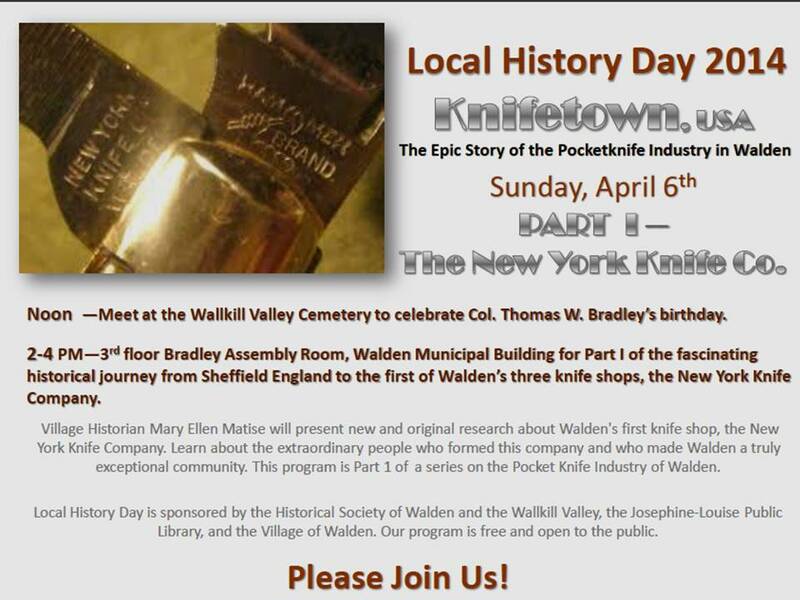 Historical Society of Walden and the Wallkill Valley. 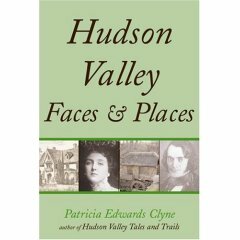 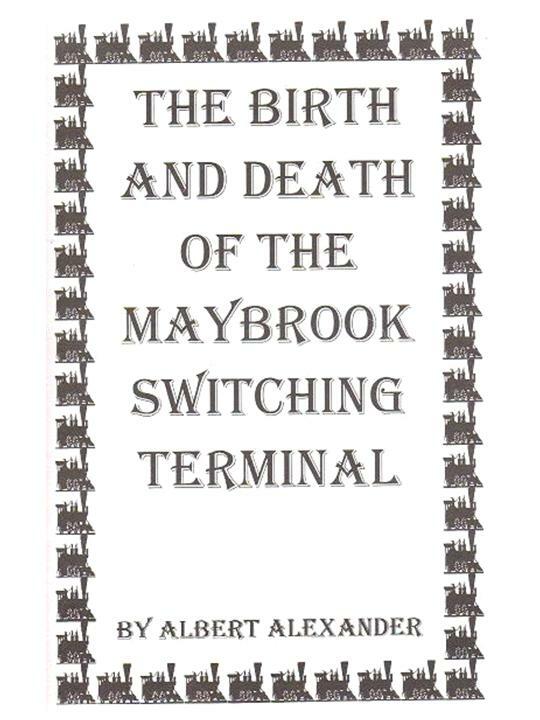 "Hardscrabble Life in the Gunks,"
250 to 300 people who scratched a living from a rocky and unforgiving land. 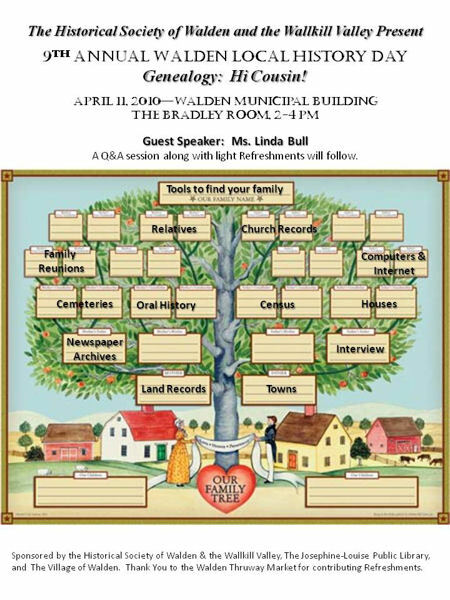 Learn just how hardscrabble a life it was, including the story of the Enderly family who lost seven members during the Spanish flu epidemic of 1918. 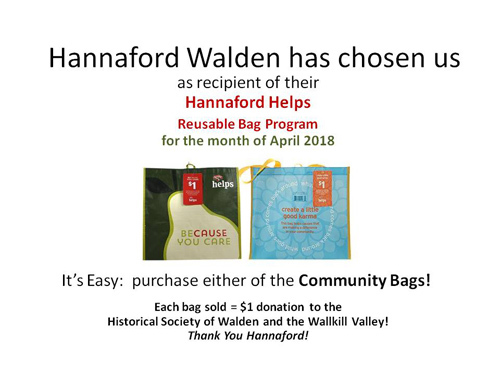 A few days left to buy your Hannaford Bags! 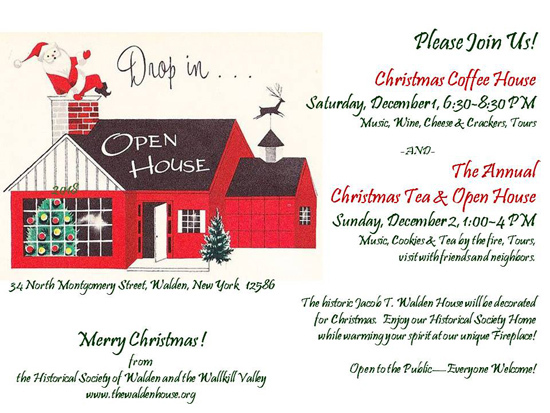 Please download our Flyer and share with your friends! 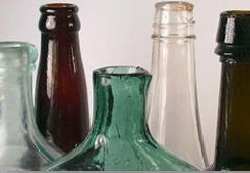 For Guest Speakers John Gruini, Jr. and Alex Prizgintas--on local, Orange County Bottle Collecting. 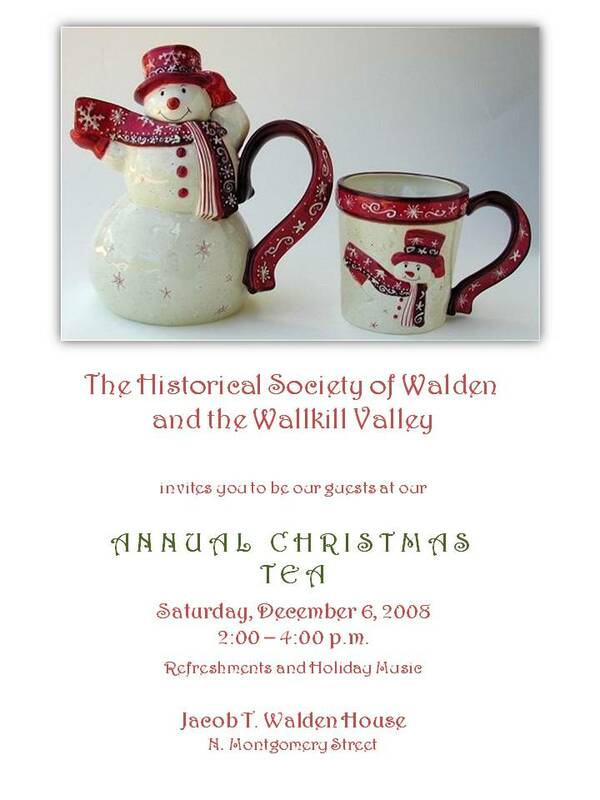 Light Refreshments follow. 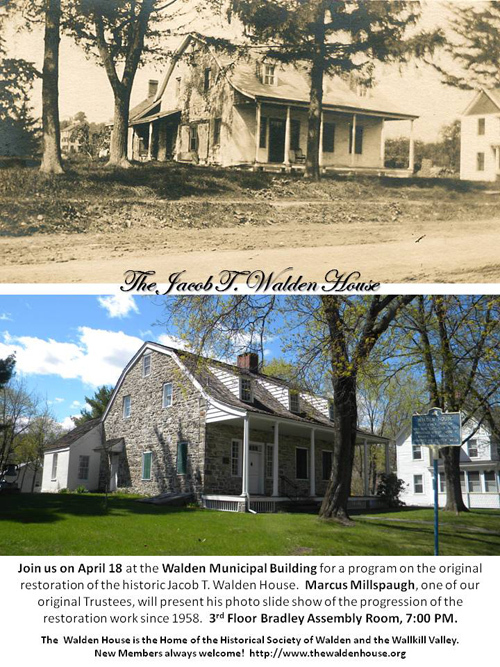 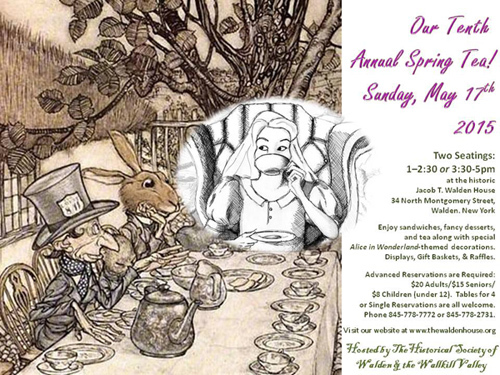 On April 15th at 7:30 pm at the Jacob T. Walden House. 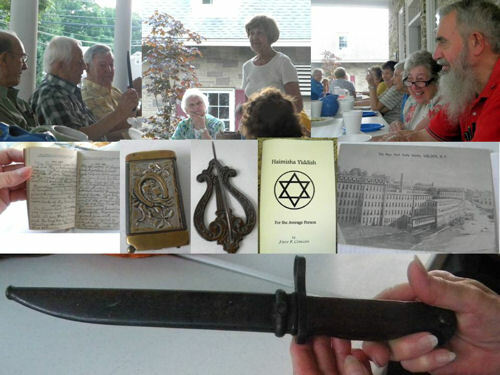 Our guest speaker was Ms. Johanna Porr, Orange County Historian.